I think we just met the true brains behind Marvel’s New Universe line of comics. I gotta wonder if Jim Shooter was browsing Usenet in early 1985. In case the above manifesto proves too difficult to parse, I believe RN (and the owner of his comic store) is suggesting is for DC to not just reboot… not just scrap everything and start over… but to… just scrap everything. 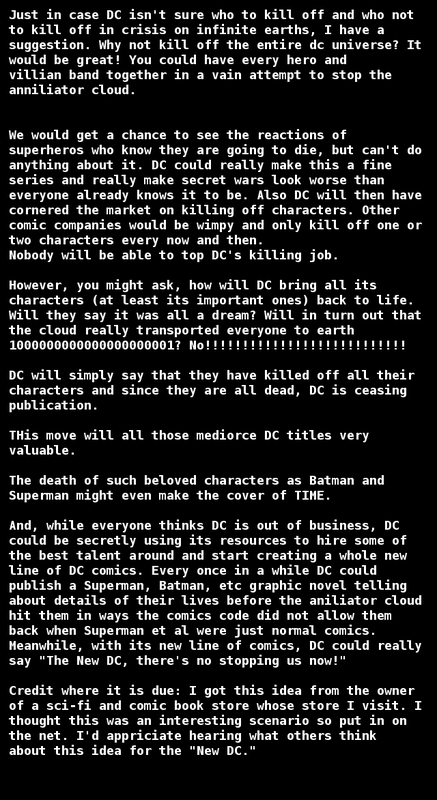 Throwing the babies out with the bathwater, DC would launch a new universe of titles. Superman and Batman? Dead… Gone. The DC Universe? No such thing in RN’s Post-Crisis world. DC can revisit those heroes in an occasional graphic novel, but not in any serialized form… no worries though, Superman might get the cover of TIME Magazine out of it…. Okay, so "NC" is on board… He will miss Swamp Thing and Blue Devil, however. Swamp Thing, it should go without saying was one of DC Comics’ most critically acclaimed books. 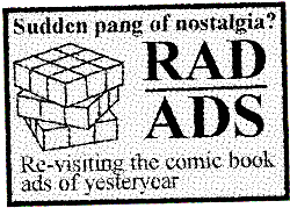 Then, as now, Internet acclaim does not always translate into sales. A sales chart dated 11/22/85 shows Swamp Thing as selling 25,000 copies per month, placing it in the bottom third of DC’s monthly output. Blue Devil only fared moderately better, selling 29,300 units. 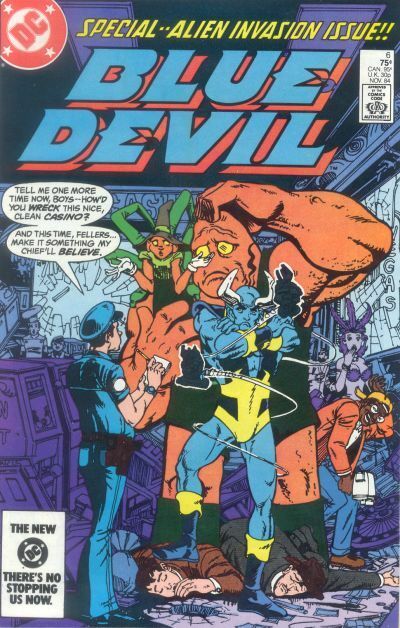 Blue Devil was an interesting concept that, in my opinion, really fit the "NEW DC" branding. It was a very fun book to follow while it lasted, and had such a fresh feeling when compared to many of the "old guard" DC books of the vintage. Well… I suppose the more things change... I had to make sure that date was actually 1985 and not 2015. 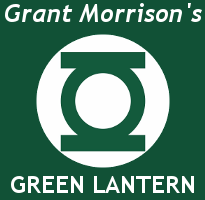 That's all for today but have no fear, we’ve got plenty more Crisis on Infinite Earths fun to come. If you have any additions or corrections, please feel free to contact me in care of this web-site. Thank you for reading.